It’s the weekend!!! Happy Saturday!!! I love navy blue!! 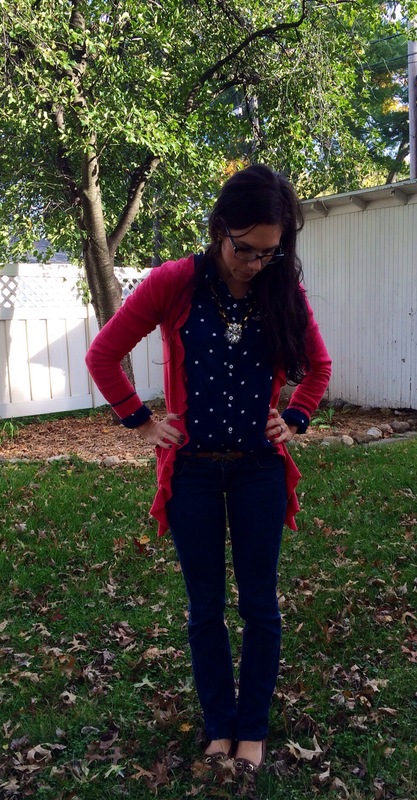 Especially navy blue and polka dots! I found my top at TJ Maxx last winter for like $15!! Love that place!! Sweater: Hollister(super old!) love this! Blouse: TJ Maxx, this is super cute and on super sale! Also like this one! Denim: Forever 21(old), like these! 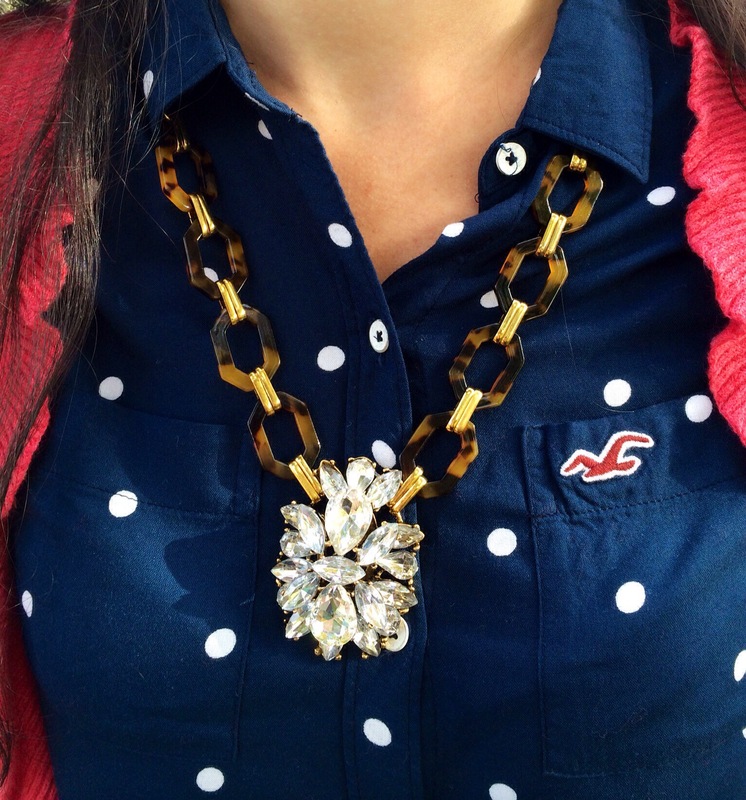 Necklace: Charming Charlie, can’t find online, but this one is similar and same price I believe!! This is a super fun look! I love the polka dots, especially with that necklace. Thank you oh so much! 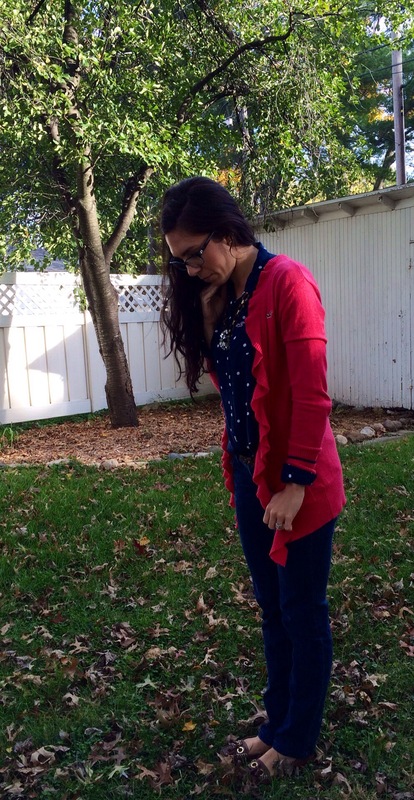 I feel like you can never go wrong with polka dots! Love them!! !